You probably don’t see it, but Amazon has improved quite a bit over the past decade. Product listings are more informative than they’ve ever been, prices are still just as good, and new features are still being introduced every year. For example, we bet you didn’t know about most of these hidden Amazon features 20 Awesome but Hidden Amazon Features You Can't Afford to Ignore 20 Awesome but Hidden Amazon Features You Can't Afford to Ignore Amazon is packed with cool features that can make your life easier. Here are 20 useful perks that you can take advantage of right now without paying an extra cent. 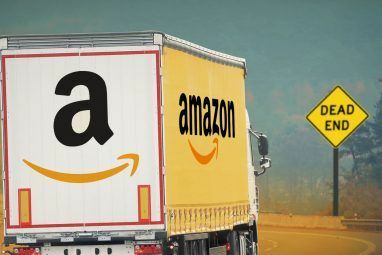 Read More , plus the numerous benefits of Amazon Prime 10 Awesome Amazon Prime Benefits You May Have Overlooked 10 Awesome Amazon Prime Benefits You May Have Overlooked Free two-day shipping is just the beginning. Here are some notable Amazon Prime subscription benefits you may not know about. Read More (including some recent ones 7 New Amazon Prime Benefits You Didn't Know About 7 New Amazon Prime Benefits You Didn't Know About You don't need Prime to benefit from Amazon. But Amazon Prime comes with a few lesser known benefits you may not have tried yet. Read More ). New to Amazon? Be sure to check out our guide to Amazon shopping The Amazon Shopping Guide The Amazon Shopping Guide This free Amazon shopping guide outlines everything you need to know to make the best use of Amazon and secure the best deals. Read More . 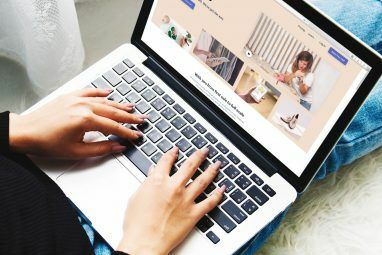 In this article, we show you some of the best sites and tools for getting the most out of every single Amazon purchase. CamelCamelCamel is the best and most effective Amazon price tracking tool. Simply copy and paste the URL of any Amazon product into CamelCamelCamel and you’ll see three price histories for that item: the Amazon price, the 3rd Party New price, and 3rd Party Used price. It’s a great way to see if the currently listed price is truly a deal or not. You can also shift the date range from All Time to 1 month, 3 months, 6 months, or 1 year. The other most handy feature of CamelCamelCamel is the ability to set Price Alerts. If the site notices that a particular item falls below a price threshold that you set, it will shoot you an email to let you know. What an awesome set-it-and-forget-it method that helps you save money with zero effort. Honey is a browser extension (available for Chrome, Firefox, Opera, Edge, and Safari) that sits quietly in the background while you shop online, then matches its massive database of coupons and promo codes to your purchase when you check out. Whichever one saves the most money on your cart gets applied automatically for huge savings. RetailMeNot is a huge site where users can submit the various coupons and promo codes they encounter while shopping online. You can then search the site for whatever online retailer you’re using (in this case, Amazon) and find all working discounts and deals. Whereas Honey only applies its discounts to your cart at checkout, RetailMeNot is nice because you can use it to see what else you can buy while saving money. The site tells you how many time each code/deal was used today and when it was last verified. CouponFollow is a coupon and promo code aggregator with a twist: it pulls all of its data from Twitter. The discounts and deals are ranked according to how viral they are, meaning how many tweets and retweets they’re included in. Because it’s entirely based on social media awareness, these coupons and codes are pretty much guaranteed to be valid. Just search CouponFollow for Amazon to see all the ones that are currently available and applicable. PriceBlink is a browser extension (available on Chrome and Firefox) that sits quietly in the background until you arrive on a product page. As soon as you do, it compares the price against its own database of alternatives and lets you know if you can find the same exact product for a cheaper price elsewhere. PriceBlink also has a coupon search feature and price alert feature, but we don’t recommend it for those. The price comparison is where it truly excels. GoSale, like PriceBlink, is a price comparison site and browser extension that instantly compares the price on a product page with its database of other stores, then shows you where to buy it for maximum savings. It also has price drop alerts and historical price data, but the price comparison is its main draw. Is it better than PriceBlink? Sometimes. You’re better off using both. Each extension may find better prices at stores not tracked by the other. WikiBuy is like a combination of all the above: when shopping on Amazon, it lets you know when better prices are available elsewhere, and when you check out, it automatically applies coupons and promo codes to bring the price down even further. So what’s different about it? WikiBuy purchases the item and sends it to you. 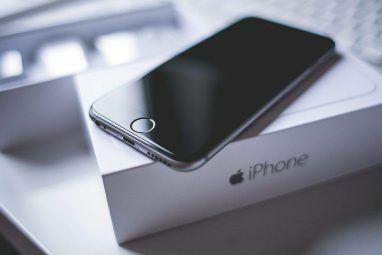 If there are any issues with the purchase, WikiBuy will argue and resolve the issue for you. Every purchase comes with a 100% money-back guarantee, so if the merchant fails to resolve an issue, you’ll get a full refund. Plus, your payment information is never shared with merchants. 8. Does Amazon Ship to…? Does Amazon Ship to…? is a Chrome extension (sorry, other browser users) that adds a single button to every Amazon product page. If you click this button, it lets you know if that item can be shipped to your country, plus a price comparison with other online retailers and whether they can ship to your country. Works on Amazon.com, Amazon.co.uk, Amazon.fr, and Amazon.de. ReviewMeta is a must-use tool in the modern era of online shopping. Simply copy and paste any Amazon product URL into its search box to have the site analyze all of that product’s user reviews. It will then spit out a report detailing how trustworthy the reviews are, how many are fake, and what the product’s “real” rating would be without the fake ratings. You’d be surprised how many 4.5+ ratings on Amazon are dishonest and misleading. Learn more about how online reviews are being manipulated 4 Ways Online Reviews Are Being Manipulated By Manufacturers 4 Ways Online Reviews Are Being Manipulated By Manufacturers Manufacturers and companies actually manipulate reviews in a variety of ways right here on the Internet. It's all about good press, of course. However, some ways are sketchier than others as you'll soon be able... Read More . FakeSpot is another tool that analyzes Amazon product pages for fake reviews and ratings. It uses a different algorithm and presents its findings in a different way than ReviewMeta, so it’s good to use both tools instead of picking one over the other. Do whatever you can to avoid buying a falsely rated product! If you prefer to read individual reviews instead of relying on these kinds of tools to analyze and summarize for you, consider learning how to filter out fake reviews on Amazon How to Filter Fake Amazon Reviews When Shopping Online How to Filter Fake Amazon Reviews When Shopping Online When shopping on Amazon, you always have to be mindful of fake reviews. Have you learned to spot them yet? Read More instead. We have so many more tips for you, such as how to get the best discounts on Amazon How to Get the Best Discounted Deals on Amazon How to Get the Best Discounted Deals on Amazon There are lots of great deals on Amazon, but you need to know how to find them. Here are some tips and tools to help. Read More . We also recommend our articles on tips for getting good Amazon customer service The Best Amazon Customer Service Tips That Make You a Better Shopper The Best Amazon Customer Service Tips That Make You a Better Shopper We've all heard horror stories about customer service gone wrong, but with these Amazon tips and tricks your next shopping experience can be a positive one! 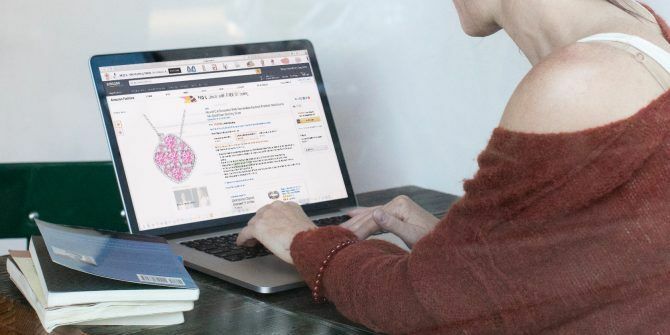 Read More , saving money by using these Amazon-related subreddits Save Money on Amazon With These 8 Sub-Reddits Save Money on Amazon With These 8 Sub-Reddits Reddit can be a great place to learn how to save money on Amazon, from shopping tips to great deals. Here are 8 sub-reddits that will help! Read More , and getting free stuff by becoming an Amazon Vine reviewer How to Become an Amazon Vine Reviewer & Get Free Stuff How to Become an Amazon Vine Reviewer & Get Free Stuff An Amazon program that's been around since 2007 might make you think twice about the power of good reviews. It's also an opportunity to get picked up for the program. Find out more here. Read More . There’s more to Amazon than meets the eye. How do you save money when shopping on Amazon? What other useful sites and tools exist that we missed? Let us know in the comments below! Explore more about: Amazon, Online Shopping, Save Money. I have Honey, it does the price tracker like CamelCamelCamel as well. I also use Invisible Hand which is similar to Price Blink and GoSale. Thanks for this article. It's very helpful. I didn't know about the ReviewMeta.